Hout Bay Backpacker Lodge is situated a stones throw away from Hout Bay Beach with uninterrupted views of beach, habour and the majestic Chapmans Peak. 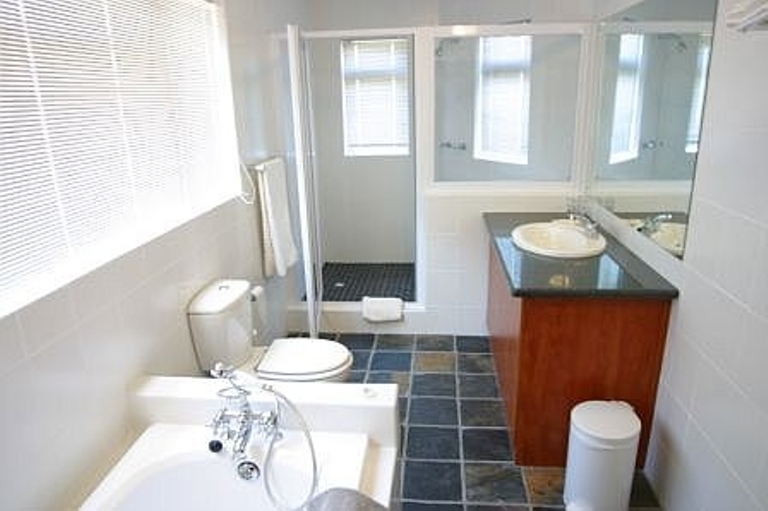 The lodge is quiet and comfortable, just 20 minutes from Cape Town and on the public transport route. Our hostel suits budget travellers wanting to experience Hout Bay with its restaurants, harbour, beach, Seal Island, World of Birds and so on; the discerning backpackers requiring a base from which to hike Table Mountain National Park, bike Chapmans Peak, surf Llandudno; and travellers interested in township tours and meeting volunteers working on community development projects. Local volunteer and language courses are also available.The dormitories all have en-suite bathrooms, sleeping a maximum of six people per dorm and the communal lounge area has DStv and a large fireplace. Knowledgable staff are on hand to advise and assist in planning a vast range of activities for you, including surfing, fishing, diving, sailing, kayaking, hiking trails, top restaurants, wine and township tours, pubs and if thats not enough, theres loads of live entertainment.All rooms lead onto private wooden decks with views of Hout Bay Beach, habour and the majestic Chapmans Peak. "Very well located close to beach and all amenities. Basic but clean and well maintained." "We loved the view from upstairs. the room downstairs was clean and neat. sorry that we and our neighbours were burgled on 1 Jan 2017. the lady was extremely helpful and arranged for us to move to a lovely room upstairs. thank you very much!!!" "Great views and close to restaurants and bars, taxi service is available and affordable. The rooms are clean and comfortable but the bathroom isn&apos;t the one on the website, the shower is almost useless but for the one night it was fine.Establishments Response:Thank you for your response, the bathroom picture on Safarinow does state that its a private room bathroom and not a dorm bathroom, I will take a look at the shower and did not realise it had a problem, we hope to see you again in the near future." "Our 2 night stay at Houtbay Backpackers was more than I expected. The rooms were clean&nbsp; and we had everything we needed. I can recommend this establishment to anyone"
"The room we had was very nice and clean, and they even made a heart with rose petals for us, seeing as it was part of our honeymoon. Huge bathroom and comfortable bed. Not bad for a backpackers. Thank you for the stay." "A great place and great location"
"Enjoyed every moment of our stay there. The accommodation was excellent and so was the location. Very close to Cape Town and all the usual places such as Chapmans Peak Drive, Cape of Good Hope, Simonstown, Boulders Beach etc. Sarah who ran the place was excellent and helped us with a number of requests. Would definitely visit and stay here." "Friendly, accommodating, comfortable. Will be back."